It's been 7 years since Heath Ledger passed away but he's far from forgotten. After he cemented his legacy by playing The Joker in "The Dark Knight" Heath Ledger would go on to win an oscar which he unfortunately couldn't accept himself. 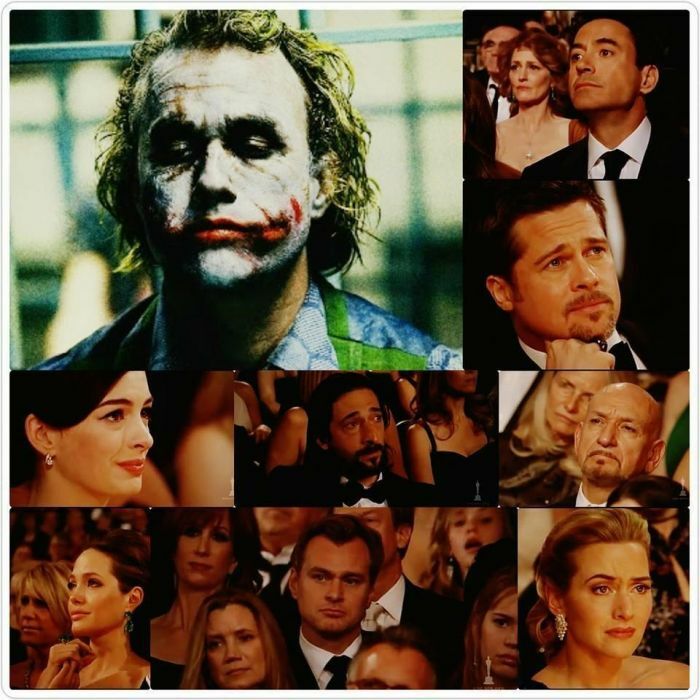 You can tell from the faces in the crowd that Ledger is missed in Hollywood and the rest of the world. People of no importance are remembered while heroes die everyday unnoticed. They are entertainers not heroes and there are many more worthy of remembrance than a drug addict. Actors making sad faces.....who would have thought they could do that? AC taking the day off? who would show a nasty grin in that moment... of course they're all making a sad face.